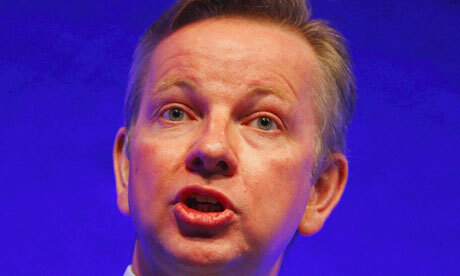 The education secretary, Michael Gove, has described as “bizarre” a GCSE exam question that asked students to explain the possible reasons behind prejudice against Jewish people. It was, Gove added, “the duty of politicians to fight prejudice, and with antisemitism on the rise, we need to be especially vigilant”. A spokeswoman for AQA, which awards almost half of England’sGCSEs, said there was never any intention to justify prejudice. She said: “In many exam questions ‘explain’ is used to mean ‘give an account of’. For example, in the past we have asked students to explain why some people commit crimes, but we have not intended to suggest that we condone criminal activity. According to AQA the question related to part of the religious studies syllabus covering “prejudice and discrimination with reference to race, religion and the Jewish experience of persecution”. Students would be expected to refer to the Holocaust “to illustrate prejudice based on irrational fear, ignorance and scapegoating,” the spokeswoman said. The lead examiner for the religious studies exam paper had looked over the answers “and has found that students have understood the question in the sense that was intended”, she added. At least 200 Anglican primary and secondary schools could be established over the next five years as the Church expands its role in education. The Church plans to take advantage of the coalition’s academies and free schools reforms, which take schools out of local authority control and places them with parents, firms, charities and faith groups. A review led by the Bishop of Oxford, the Rt Rev John Pritchard, who is also chairman of the Church’s board of education, said the number of Anglican schools – currently 4,800 – could rise to 5,000. Free school groups and other state schools have already started to approach dioceses because they feel their ethos is similar to that of Anglican schools, the review – The Church School of the Future – states. The report recommends that in future, dioceses could offer services to schools to replace those previously provided by local authorities until their budgets were cut and their role reduced. Dr Priscilla Chadwick, a former headteacher who chaired a six-month review that led to the report, added that the public’s“default understanding of Christianity was disappearing”. 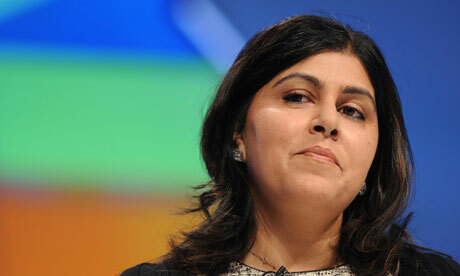 Last month, the Tory party chairman, Lady Warsi, warned of what she called the “militant secularisation” of society and proposed that Christianity was given a central role in public life. The Church’s review also warns that ministers are sidelining religious education from the curriculum. The subject faces “multiple challenges” and the government has“no will” to address them, it argues. The English Baccalaureate, introduced in school league tables last year, recognises pupils who have achieved a grade C or better in English, maths, history or geography, sciences and a language. RE’s absence from the Ebacc is disappointing, and has led to fewer pupils taking the subject, the Church said. “While the Church of England has received some encouragement to work together with other partners to address some of the issues related to religious education, the responses of the government to these concerns have been disappointing,” its report states.